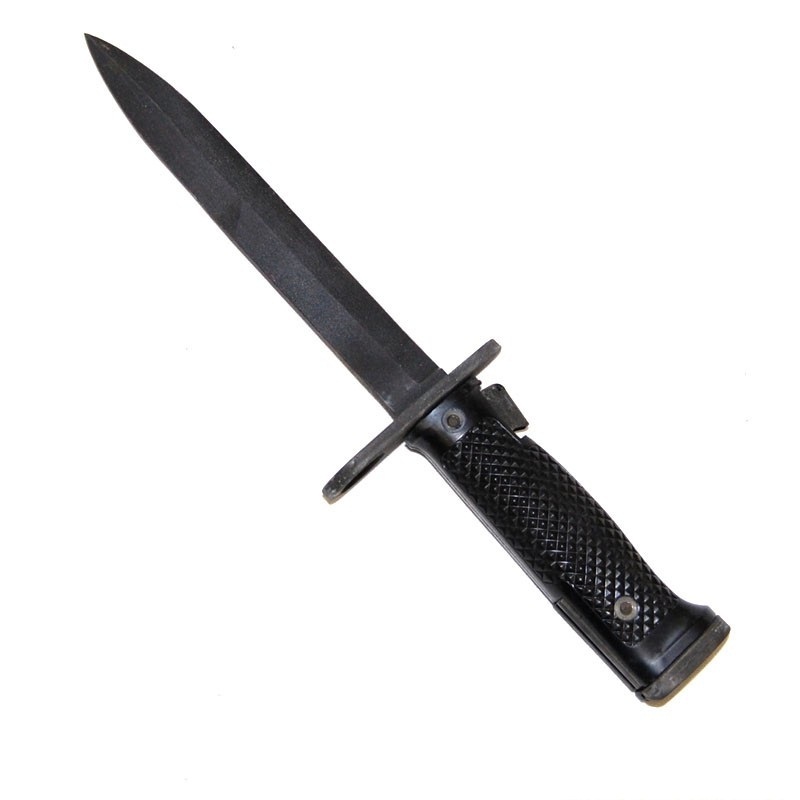 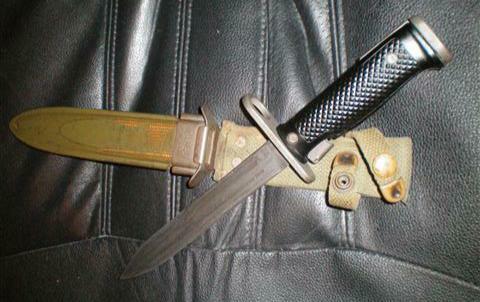 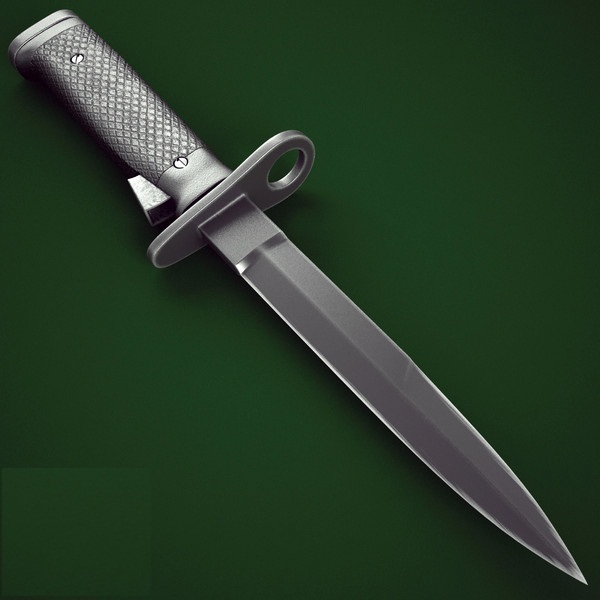 The M6 Bayonet is a bayonet used by the U.S. military for the M14 rifle. It was introduced in 1957, at the same time as the rifle itself.It is the only type of bayonet made for the M14, and the only other rifle it fits is the civilian version of the M14, the M1A. 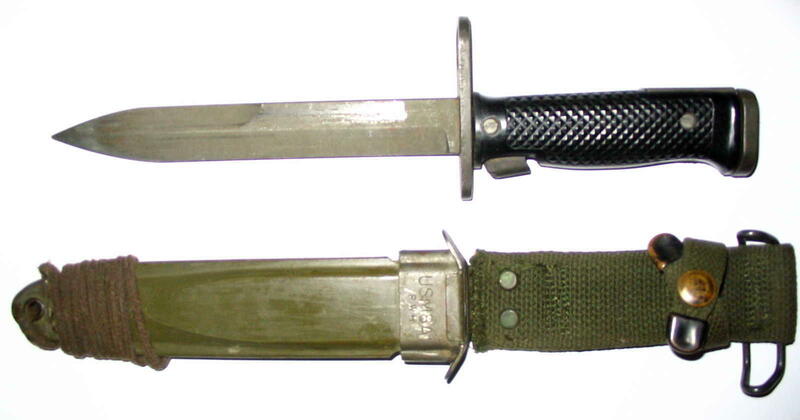 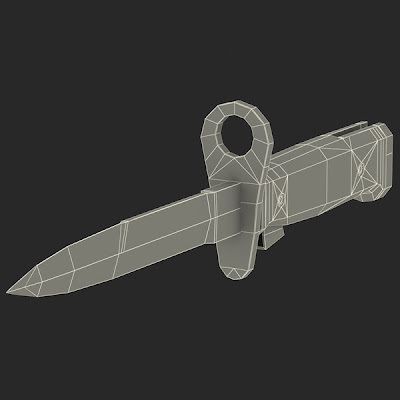 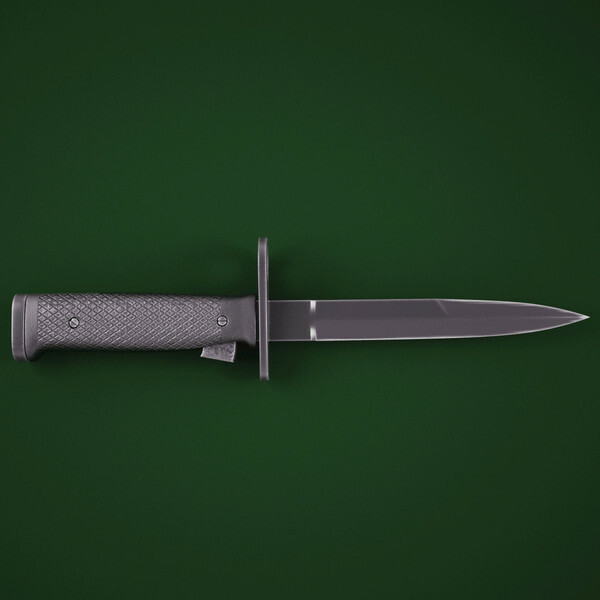 Like its predecessor, the M5 bayonet for the M1 Garand rifle, the M6 was intended to serve additional roles as a combat knife and utility knife. The basic blade design was like the M4, M5, and later M7 bayonets, based on the World War II designed M3 Trench Knife.The overall length of the M6 is 11 3/8 inches, with a blade 6 5/8 inches long. 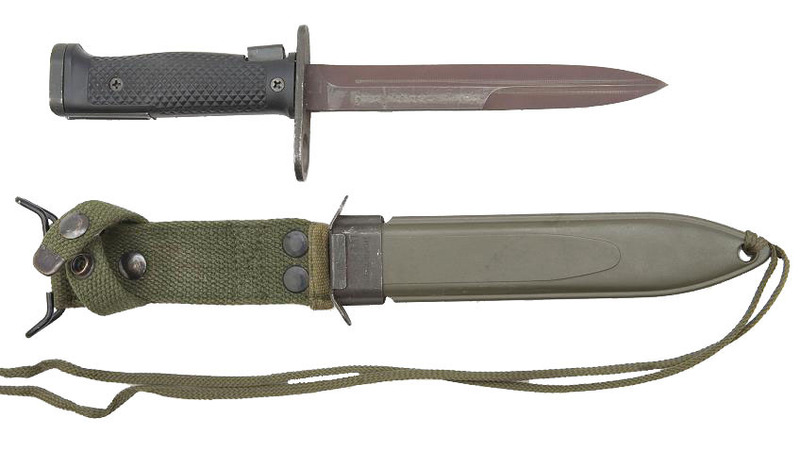 Contractors who manufactured the M6 included Aerial Cutlery Co., Columbus Milpar and Mfg. 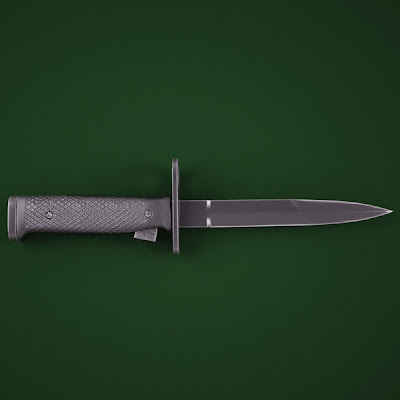 Co. and Imperial Knife Co. The M6 was replaced by the M7 bayonet after the Vietnam War, when the M16 Rifle was adopted by both the United States Army and Marine Corps as the standard service rifle. 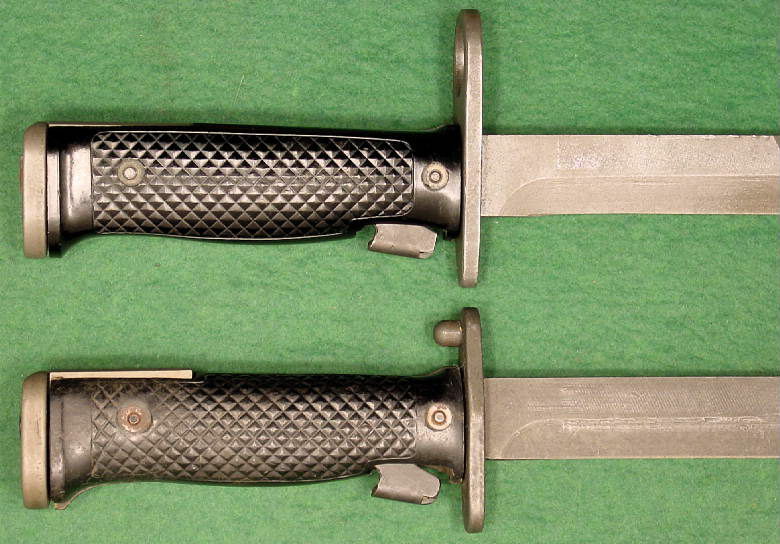 The most notable differences between the two are the diameter of the muzzle rings, the shape of the handle, and the locking mechanism. The M6 has a spring-loaded lever near the guard that when depressed releases the bayonet, and the M7's release mechanism is on the pommel. 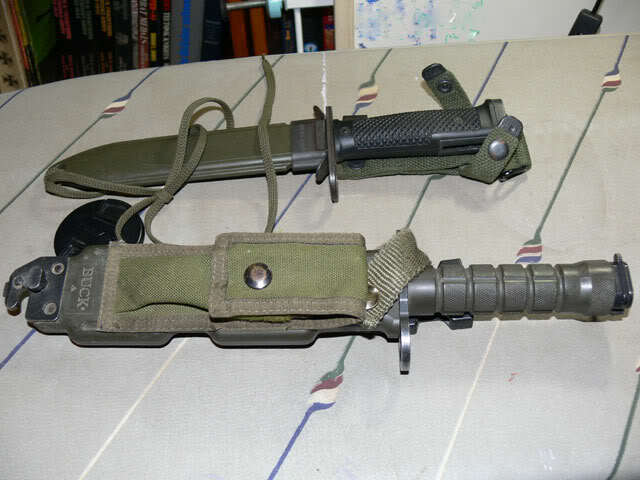 Both models are the same length, have the same black finish, and use the M8A1 sheath. 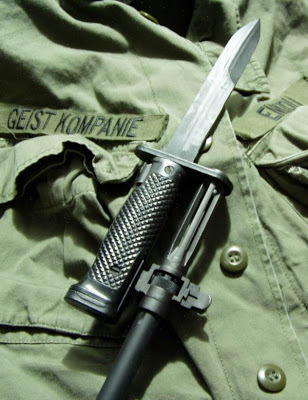 Today, the M6 is mainly used for ceremonial purposes, particularly by the Navy and Marine Corps, both of which still use the M14 rifle for exhibition drill.